If a week is a long time in politics, then a fortnight in football must be a, eh, really long time. Since last we met, Liverpool have got shot of manager, Brendan Rodgers, a man for whom every moment must feel ‘outstanding’. Not that he’ll be feeling over the moon having been fired but one suspects that the severance package might go some way to soothing what ails him. Even though he was the first man in nearly a quarter of a century to have gotten Liverpool within a realistic sniff of the title (Benitez did come second to Utd but with him at the helm, not many truly believed a title win was likely), there was always a degree of uncertainty surrounding the man with the dazzling smile and very white teeth. Was he the real deal or a jammy chancer? Whatever the truth of that is, the management have clearly fallen closer to latter assumption and have shown him the door as a result. And who should walk in the other way with the door still swinging only the Germanic dream-bringer, Jurgen Klopp. If the press pack collectively wet themselves on Mourinho’s return, here comes a guy who is likely to topple the Chelsea chief in terms of journalistic fawning and adoration. Here comes a man who is box office gold, not only for the audience but mainly, it seems, for his players. Enough has been written about his extraordinary exploits initially with Mainz and then latterly Borussia Dortmund but suffice it to say, a ‘sleeping giant’ as generally moribund as Liverpool have been, could hardly have hoped for a greater shot of emotionally-charged adrenaline. And luckily for them, this particular shot also comes packing heat – a record of outstanding extraordinary success at club level. However, he’ll have his work cut out for himself at a Liverpool team which has just lost two regular players in shapes of Gomez and Ings, likely for the rest of the season and unfortunately for Liverpool, those lads aren’t stuck for company at the moment. So his first task must be to steady a leaking and bobbing ship with a dwindling coterie and then to quickly induce some Chateauneuf du Pape from an expensive Buckfast. No pressure there, then. Sadly for Klopp, the fixture list hasn’t been overly kind to him as his first match in charge sees Liverpool take a trip down south to take on an increasingly impressive Tottenham. Spurs haven’t lost in the league since the opening day of the season (courtesy of cultured own goal) and have steadily begun to find some rhythm and stealth as the weeks have worn on. Their most impressive outing so far was their 4-1 thrashing of league leaders, Man City, and with three wins and two draws in their last five league outings, it’s safe to say that they’re in a spot of form. In fact, in England’s concluding game for European Championship qualifiers, Spurs had a greater representation of players than any other English club. The bookies, unsurprisingly, aren’t rolling with Klopp hype machine and have Spurs as favourites here. 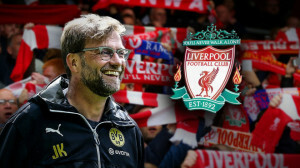 Whilst everyone is aware of the famed ‘new manager bounce’, will it be enough for Liverpool to eke out any kind result away at White Hart Lane, even with King Klopp in charge? The Klopptimists out there will see ‘win’ written allover this but, as sensational a story as it would be, it’s hard to anything better than a draw for the Reds. Although 6/4 for a Spurs win seems a decent price (Paddypower), said bounce might just get a point for the ‘Pool. Betfred have 2/1 for the draw. Another week, another hard luck tale from perpetual moaning machine, Jose Mourinho. Rumour has it that The Guardian and Amnesty International are to launch a joint campaign which will seek to highlight the many and grave injustices visited upon this innocent man. From uppity medical professionals to gilded opposing managers, institutional biases and global conspiracies, we none of us really understand the slings and arrows of outrageous cruelty which this noble creature must suffer. Yet for all his buffoonery (at the least) and bullying (at worst), Mourinho is adept at diverting attention from that upon which he wishes no focus, i.e. the brutal form of the erstwhile champions this season. As mentioned before in previous columns, the man for whom loyalty to his players used be paramount, has taken to throwing them under the bus. The Emperor has turned on his most trusted aides and history tells us that there is little chance from here of changing course and averting collapse. It should merely be a matter ‘when’ not ‘if’. Thankfully for the beleaguered despot, the only other man in town to spout more self-aggrandising clap-trap in the face of a burning Rome is Tim Sherwood and his bag of tactical know-how and savvy. Tactics Tim has even begun to refer to himself in the third person. Although always funny, that’s rarely a good sign. As many suspected, the task of actually managing a club over the course of a season as opposed to fighting his way out of hole looks to be beyond the man. The Villans are comfortably settled in the relegation zone and worryingly for them, it seems to be a good fit. 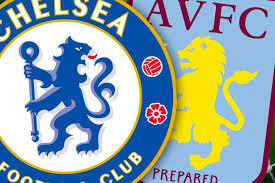 So who will come out on top in this battle of the EPL strugglers? Ordinarily, given the teams involved, that would be an incredibly stupid question but Chelsea have been bucking assumptions all season long. Surely a loss at home to Villa is too much to countenance? This column expects Gested to score and generally cause havoc. One also imagines that Villa’s calamitous defence will concede, too. How about a draw? Why not. Bet365 have the best price for that at 19/4. It was only two weeks ago that this column said that it was expecting a pedestrian Utd to just about sneak past Arsenal. Hmm. Got the pedestrian part right anyway. Yes, Utd came undone in spectacular fashion against a rampaging Gunners two weeks ago and immediately all the doubts relating to this Utd side which had been largely quelled as a result of their being top of the table rapidly surfaced again. Here was a performance so tactically inept that Tim Sherwood would have been proud. Aging central midfielder, Bastian Schweinsteiger, was tasked with the lone-man, high-pressing role. Largely ineffective though annoying if it’s a nippy forward doing it, when a midfielder whose pace has taken second place to his positional awareness is attempting to do it and leaving holes behind him that he can’t possibly hope to cover, it makes as much sense as a waterproof teabag. At this stage, the less said about Wayne Rooney, the better. Apart from the fact that he looks absolutely shot at this level. Utd fans across the world must be hoping this prolonged dip isn’t permanent. Everton, on the other hand, seem to be coming together nicely. Toffees’ fans will be delighted to think that they had a hand in Brendan Rodgers dismissal as Liverpool boss as his last game in charge was against Everton at Goodison Park. Martines will be happy to see some of his big players up their performance levels. Oft-derided striker, Lukaku, has had his dry patches but he looks to be finding form ona more regular basis and it’s worth pointing out that he has scored 60 goals in his last three seasons. Not bad for a 22 year old. Young Ross Barkley (same age as Lukaku, believe it or not) is beginning to assume more responsibility and impose himself on games in a far more decisive manner. It’s hard to get a good idea about this one might go because it’s very difficult to know what the hell Louis van Gaal is going to ask his team to do this week – get Darmian to vacate his right back berth to sit on James McCarthy? To be honest, after a blinding start to the season, Darmian has in fact largely abandoned that position anyway, certainly in defensive terms. 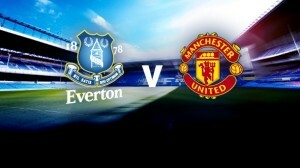 There’s a buoyancy to Everton now wherein, at their very best, they reflect the utter positivity of their manager and will swarm and harry the opposition with an intensity that a slow moving, slow thinking Utd team will find hard to counter. Betvictor and others have 12/5 for the home win.